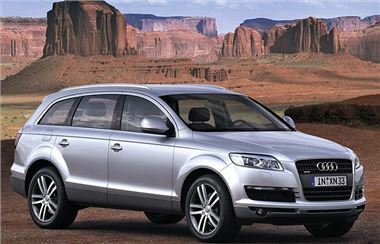 A 2008 Audi Q7 TDi Quattro S Line has become the fastest ever seller on BCA’s ‘Buy Now’ trade only online selling channel. The car was listed for sale at 2.00 pm on 28th June 2012 and sold exactly one minute and 22 seconds later to a BCA online buyer. The Q7 had covered 47,000 warranted miles and was well specified in Black metallic with leather interior and alloy wheels, integral sat-nav and parking sensors. It sold for £21,250, equivalent to 113% of CAP Clean. If you are a trade buyer, and eligible to Buy Online, Buy Now means you can purchase vehicles immediately at the Buy Now price - enabling you to source specific stock at any time rather than wait for an auction. Vehicles offered in Buy Now sales is a mix of fresh vehicles and some that may have previously been offered at auction. Within the BCA website, Buy Now sales are indicated by a blue pound sign. As you search and view vehicles you will discover a selection of used vehicles direct from leading vendors that you can buy immediately. The vehicle details will indicate the sale end date and time. A selection of Buy Now vehicles is available to view and buy 24/7 - the sales are frequently updated, so check back regularly. Once purchased, a vehicle disappears from the sale. Shortly after purchase you will receive an email confirming your purchase. As well as being available for instant purchase, some vehicles will also have a Bid Now option enabling you to have more choice about how you buy. Buy Now also enables you to benefit from an extended range of vehicles, many of which are fresh stock, in a wider selection of locations. Vehicles that are not held on BCA sites are indicated as being at the nearest branch, eg. Birmingham offsite. Auction View presents each offsite vehicle with further information regarding delivery, which may take slightly longer than vehicles that are on-site at BCA. Delivery cost for a vehicle that is offsite is consistent with buying from a BCA branch – it is calculated from the selling branch location (eg, Birmingham offsite) to your delivery address.